We’ve all seen them – the hip millennials working on their next tech startup over a soy frappe chai latte in their local coffee shop. We’ve all thought, ‘I am so jealous’, closely followed by ‘Get a real coffee you hipsters!’. Well, mobile working is fast becoming a business reality and – the ability to order fluffy coffee combos aside – there are some very non-fluffy benefits. Our new solution, FASTdesk, is here to make the decision to go mobile a whole lot easier. A survey by PwC recently revealed that nearly 40 per cent of millennials prefer a work schedule that combines traditional hours with flexible options. And people say you can’t have it all. This means that businesses need to evolve and meet these demands for their workforce, or they’ll risk getting left behind. One way of achieving this is through cloud hosted desktops so – adding to our fabulous eCloud range – we’re incredibly excited to announce the launch of our new Desktop as a Service (DaaS) solution FASTdesk. DaaS is a simple and easy way of accessing your desktop securely from any location. You’re essentially virtualising your work desktop and making the files and apps from it available on any device at any time -handy ey? The general gist is that it makes it easier for employees to access their work on the move. To do this well – and, crucially, safely – employers need to put in place a robust BYOD strategy by providing employees with the tools to work from anywhere. Cloud-hosted technology can offer this, as well as a consistent experience across all user devices and operating systems. These are the top five benefits of getting involved with FASTdesk. Flexible. 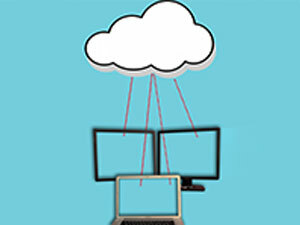 FASTdesk combines Cisco-Powered infrastructure with desktop virtualisation software from Citrix. This provides a flexible working solution, and you only need the internet to connect. Time. Cloud desktops equal time saving for IT teams, as updates and patches are applied to the centralised infrastructure and users can access a standardised version of each application. No more messing around trying to get each device up to speed. Security. With FASTdesk you don’t run the same risks as when you store files on a physical device, meaning safe, seamless access to sensitive files from any location. Plus there’s no danger of leaving USB sticks on trains or laptops down the local pub after a pint or two – not that any of us have ever done that, have we? Spend. DaaS runs on an OpEx model, making IT spend predictable and controllable without unexpected or hidden costs. Long-term ROI and early payback on your investment are a core benefit of this solution. Control. DaaS gives your IT team improved central control over all user desktops, allowing for more agile deployment and patching of applications. Operating system and application incompatibility across different generations of devices are no longer an issue. Oh and a (surprise) sixth benefit, you can pick a DaaS solution to suit your needs, from ‘app-only’ right up to ‘Executive’, ensuring you get the right package for you (and your budget). When you pick FASTdesk as your DaaS solution, you also get to plug into our £25m UK cloud infrastructure and 24/7/365 expert customer support. It’s backed up on our infrastructure giving our clients price protection because we bought the land and we built the data centres that are on it. This is innovative thinking, backed by tech you can trust. Download our Cloud Hosted Desktops whitepaper for more information on how FASTdesk can make your life a whole lot more flexible, or speak to an expert now on 0800 953 0648.